When Paris mayor, Anne Hidalgo, announced in early January that she would soon be making the city’s public transportation services free for children under the age of 11, she took another step towards reducing air pollution in Paris. The added bonus of this move, which Hidalgo hopes will encourage parents to travel with their young children on the extensive Paris metro and bus system instead of driving cars, is that it makes the city a more welcoming place for little ones. While urban environments are not often considered kid friendly, efforts such as this are signs that cities and kiddies can coexist. One of the most charming aspects of Paris, especially in the warmer months, is the multitude of parks that dot the city. Guidebooks often advise travelers on a budget to avail themselves of this city resource as a convenient picnic spot or place to prendre l’apéro. But those with kids in tow will want to note that these green spaces are full of treasures for tots. Pair tourism with playtime at Place des Vosges, where you can ogle the stunning residences that once housed artists such as the author Victor Hugo, while your little one builds castles in the sandpits that are just their size. Luxembourg Garden is a paradise for children, with model boats to sail in the central reflection pond and an antique merry-go-round located next to a huge, enclosed playground. Le Jardin d’Acclimation is a perfect way to spend a day with children in Paris. The park has rides, a petting zoo, and several organized activities to keep your kid interested and entertained. If you want to stay in your neighborhood, don’t forget that Paris has several squares, or small parks, every few blocks. Equipped with playground equipment and open space for play, these spots are the place to be for after-school fun and snacktime. As a gastronomic destination, Paris attracts eaters from around the world and children shouldn’t be left out of the fun of enjoying the city’s restaurants. 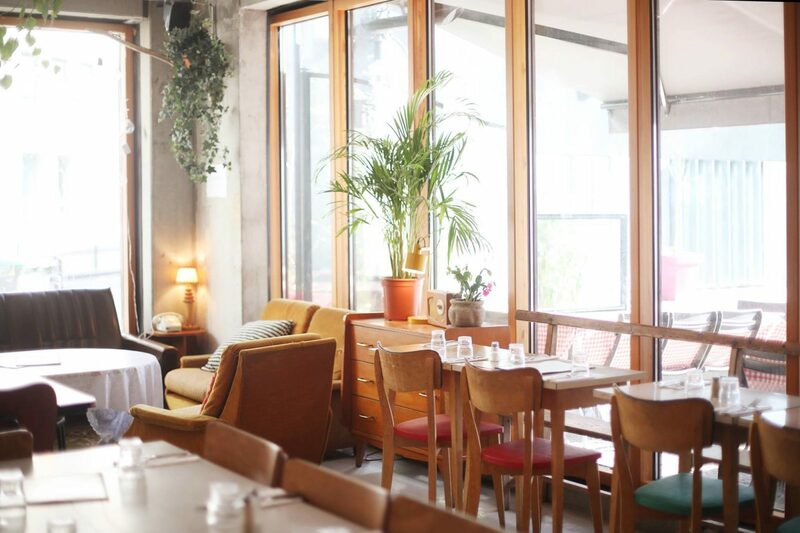 While Parisian waiters may be more patient than expected when it comes to welcoming kids in their restaurants, the spaces are often restrictive to toddler fidgeting, so you’ll want to keep these super kid-friendly addresses up your sleeve. Victoria Station is a quirky restaurant in the Grands Boulevards neighborhood that is sure to delight little ones as they are seated in imitation train wagons and share plush velour banquette seats. Chez Hé is a favorite among parents who flock to this Chinese restaurant, which centers around a large playground where kids can play while mom and dad finish their meal in peace. Brunch in Paris is surprisingly simple when it comes to bringing kids along. Super Café is a cozy breakfast/coffee spot with a tricycle-friendly terrasse and plenty of games and space to play inside. Grand Central serves a brunch with plenty of kid-approved options on Saturdays and Sundays and has a large playroom next door. Head to Aloha Café for an affordable kid’s brunch menu that they’ll finish up quickly so they can head to the game room to play with the other kids. Paris is full of museums adapted to children’s tastes and interests. The added bonus: They’re interesting for adults, too! The Cité des Enfants has a permanent collection as well as rotating exhibitions all targeted at children, even as young as two years old. The Palais de la Découverte has science-related exhibits that will catch your kid’s eye (the current exhibit, Poison, includes over thirty species of venomous animals) and the Musée de la Magie is quaint and kitschy and fun for the whole family. If mommy needs a coffee after a day with the kids, she’ll be happy to know that Paris has her covered. Mombini is a great place to grab a coffee or a homemade lunch and do some shopping (the adjoining boutique is full of colorful, artisanal toys for kids). This unique boutique/café also hosts children’s birthday parties, baby gym classes, and workshops for new moms. Similarly, Le Renard & l’Entonnoir serves as a salon de thé and shop focusing on children’s books. 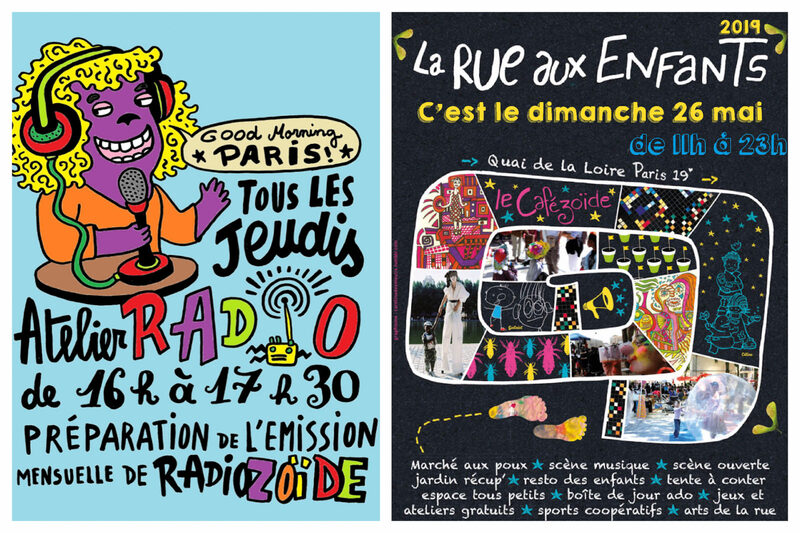 As the self-proclaimed “café des enfants,” Cafézoïde is an animated space just for kids, with regular workshops, activities, and monthly events for both little ones and moms. There are all kinds of creative way to flourish as a family in Paris. Thanks to the city becoming more kid-centric, new businesses are popping up or deciding to serve moms and their mômes. Jolies Mamans has two locations in the city where women can go get their hair and nails done while the kids are watched by a certified babysitter. Everyone can share in the self care at Mommy and Me baby yoga classes at Casa Yoga. Young yogis even have their own classes (ages 6-11) at Ashtanga Yoga Paris. For more sporty fun, Blockout Paris is a kid friendly climbing gym that organizes children’s birthday parties. Another great party spot is Le Zèbre de Belleville, a cabaret with concerts and circus performances that invite kids to get in on the fun. For a rainy day activity, take les petits to Studio des Ursulines, a cinema in the 5tharrondissement that shows children’s films (often in VO, the original language!) every day of the week. Emily tells us about traveling to Paris with baby. Read part 1, part 2, part 3 and part 4 of the Expat Mom Experience. For 45 fabulous things to do with kids in Paris, head over to TimeOut. Written by Emily Dilling for HiP Paris. Looking for a fabulous vacation, or long term, rental in Paris, Italy, France or elsewhere in Europe? Let us know. We can help! Woow. Great. Thanks for article. read with pleasure. Hi, I would like to include several other places that I go with my little ones… Jardin des Plantes has everything that you might want for a full day out (or just a short visit): lots of gardens to explore, wide open spaces to run around, the wonderful ménagerie, a place to picnic or several food stands and cafés /restaurants to choose from, the stunning Galerie d’évolution which includes a childrens exhibit, and the fascinating Musée de Paléontologie. Elsewhere in the city, I recommend Pâtisserie A Lacroix (6ème) just over the river from Notre Dame, which is very welcoming and frequently holds get togthers for mothers with young children. HD Diner Opéra is an American 50s style milkbar with a play area to keep the kids amused while parents relax over their meal. And Une Mere Une Fille à Paris (15ème) is a café, boutique and children’s party venue with plenty of great toys and serve kidfriendly meals on request. Hello HiP team and Emily, thank you so much for featuring CasaYoga in this great article. We are surely proud to be part of kid-friendly Paris 🙂 See you soon at the studio !